KBR is extremely proud to announce its fourth year of sponsoring Hack2Hole. Hack2Hole is a North East based charitable society for disabled golfing enthusiasts, it was set up in 2012 by golfing fan Neil Joyce after he found himself in a wheelchair following two major operations. The society provides a place for golfers to partake in their hobby in a safe, secure environment tailored specifically to disabled golfers, but inclusive of able-bodied players too. With the ongoing support of KBR, Hack2Hole has quickly established itself as a society and now has over 35 members including its first female and amputee players. This year, it has ambitious plans to increase its members to almost 50. 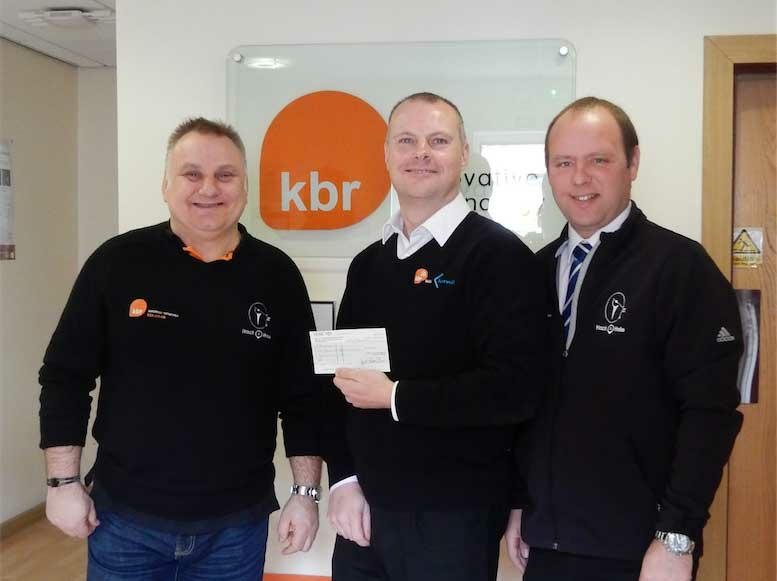 KBR is contributing funds towards members medals, golf buggies and trophies; enabling Hack2Hole to continue its cause and ongoing support for disabled golfers. With a very busy year ahead, Hack2Hole is looking forward to taking part in the ‘KBR Road to Nowhere League Trophy’ and the ‘Tees Invitation Match Play Challenge 2016’ tournaments. As well as this, the strong team will once again represent KBR at the ‘Chris Lucas Childhood Cancer Research Charity Day’ (June), which last year they finished runners-up in, and ‘The Tiny Lives Charity Day’ (August) to defend their winners trophy. If you’re interested in playing with and/or supporting Hack2Hole, please call 07877905700 or email hack2hole@gmail.com.